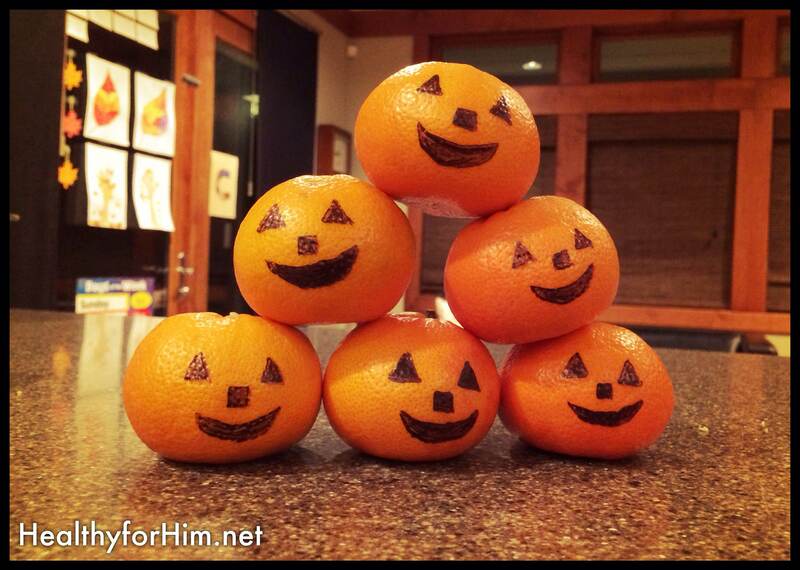 We made these cute little guys to hand out to the shut -ins we deliver meals to on Thursday during October! Healthy and FUN! I’m all about ways to maximize my time. Time isn’t something some of us have more of, we just all use it differently. What I learned having 8 kids in 10 years, is that the time isn’t MINE…. it’s God’s and I better move a pretty good clip to get things done. Fast forward to my life now… and nothing is new, it always feels like there isn’t enough time. But there is always enough time to get done what God would have me do. It’s true I can’t do it all, but God doesn’t want me to do it all anyway. So I focus on what NEEDS to be done, and do that. As that is happening I’m working on other things, blend the almond milk for tomorrow, soak the apples from the store, start a chicken in the crock pot for broth and chicken later this week, pop chicken breasts in the oven for tomorrow’s lunch, soak 3 cups of nuts for tomorrow’s banana porridge, and then take the almond meal from the strained milk and bake it with cinnamon to make granola bars… I go on like this… mixed in with cleaning dishes and putting things away for a few hours each night. Some nights I’m on my feet for 2 hours following errand night. On a regular baking night, when we are “home” for the evening, it’s a good five-hour stint between preparing dinner and getting things ready for the next day. So in my time crunch, I’m also thinking of ways to maximize our food and never be wasteful. Just like using the carrot pulp from my juice for muffins or making sure we eat left overs! 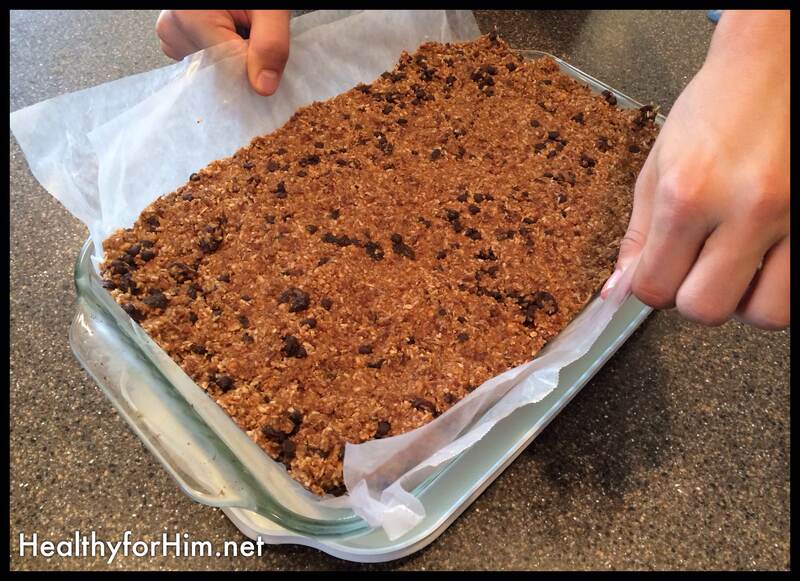 One thing I’ve learned to do is use the almond “meal” from my almond milk – and make homemade paleo “Granola” bars! 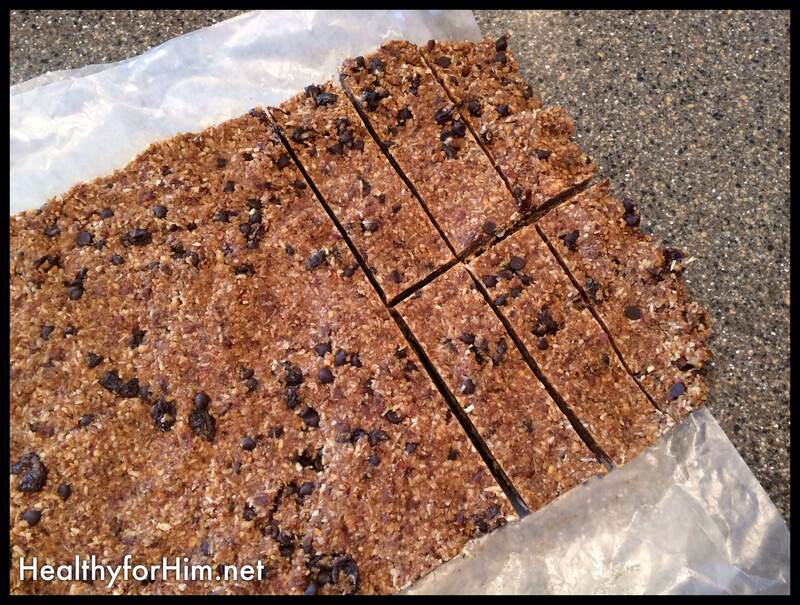 This works out great a few times a week, and provides a seriously yummy snack, that is pack full of SUPER healthy fats, for a lot less! Take the almond meal out of the cheese cloth and spread it on a pan lined with parchment paper. Sprinkle with cinnamon and put it in a 350 degree over for 20 minutes. Remove and let cool. 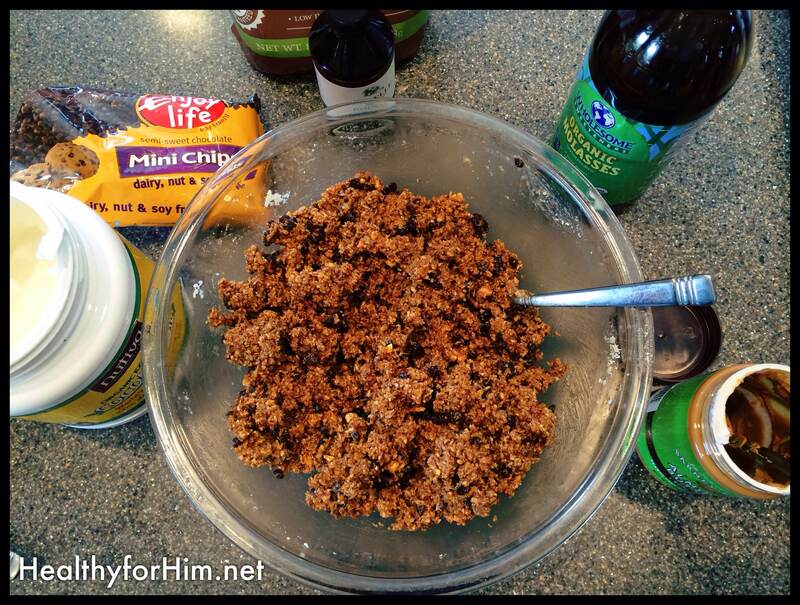 ** Once well mixed, add in the baked almond meal and stir all together. If you don’t have time to put the bars together following baking the almond meal, just simply lift the sides of the parchment paper, and slide it into a ziplock bag. Store in the fridge until you are ready! Posted on October 31, 2013, in Auto Immune Disease, Celiac/Gluten Sensitivity, Food To Try and tagged almond meal, auto immune disease, celiac disease, gluten intolerance, healthy for him, large family Paleo, MS, paleo granola bars, what to do with almonds after making milk. Bookmark the permalink. 7 Comments. Thanks for the encouragement Amy. I think God is awesome for allowing me to get anything done! I appreciate the good days so much more!! BLESSINGS TO YOU & YOUR FAMILY & HAPPY LAST DAY OF OCT TO YA’LL!!! THANKS FOR FINDING THE TIME TO ADD A BLOG POST– I TOTALLY ENJOY!!!! Same to you Sonda! 🙂 Soccer season has ended here for 6 kids, so amazingly – it does free us up. We need a break to put our house and lives back in order before the holidays! So if you skip the making almond milk step and want to start with boughten almond meal, would it be 2 cups or less? I don’t know that store bought is course enough. It might be better to use soaked almonds through the processor. Let me know if you try the almond meal “flour”, how it works. I made some “raisin bran granola” some if my meal yesterday and the kids loved it today!